Time to Break Up Johnson Controls? Its margins still lag those of big rivals, and there’s no sign of the pressure ending soon. Johnson Controls International Plc is taking one big step forward in its journey to become a multi-industrial company. It’s still got plenty of work left to do. The company on Monday announced it will explore alternatives for its power solutions unit, which makes automotive batteries. This has been a long time coming. 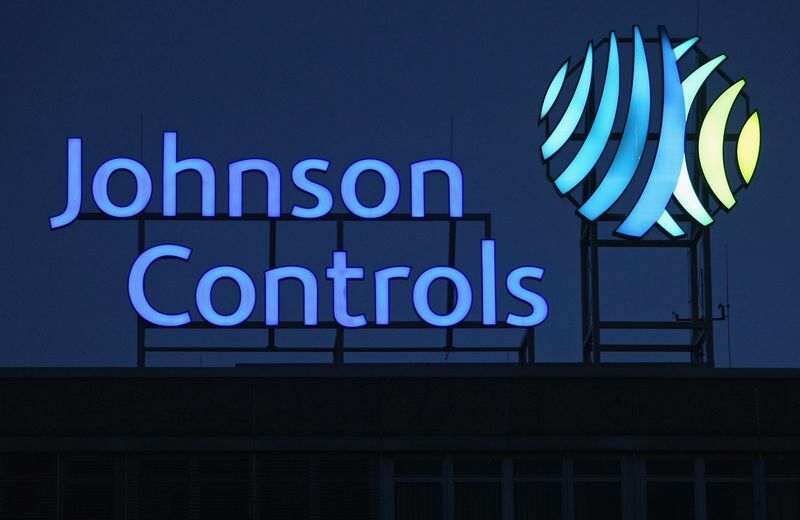 The goal of Johnson Controls’ 2016 merger with Tyco International and spinoff of its Adient Plc auto-parts operations was to refocus the company on HVAC, fire and security products. Those tend to be high-margin, stable businesses that throw off cash — qualities favored by multi-industrial investors. Gumming up this would-be transformation was Johnson Controls’ decision to keep its capital-intensive battery unit. Strategically, HVAC systems and car batteries had little in common. Financially, the mismatch was problematic. The investments required for the battery business undermined Johnson Controls’ free-cash-flow conversion and ability to pay down debt from the Tyco deal. Former Johnson Controls CEO Alex Molinaroli said last year the company wasn’t “deaf” to calls to shed this business, but executives also signaled a separation would be complicated, tax-wise. That’s partly because the Tyco merger was an inversion-style deal that moved Johnson Controls’ legal domicile to Ireland, limiting its ability to undertake tax-free spinoffs. The recently passed U.S. tax legislation likely changed the calculus. The bill lowered the taxes companies must pay on sales of assets with significant U.S. operations, making an outright sale of the battery business a more palatable alternative, as Gadfly has argued. The challenge for new CEO George Oliver — the former head of Tyco — will be convincing investors the building-efficiency division that’s left over after a breakup is worthy of their attention. That unit earns less per dollar of sales than rival HVAC, fire and security operations at companies such as United Technologies Corp. or Ingersoll-Rand Plc. On Johnson Controls’ earnings call in November, Oliver suggested this shortfall was partly because of mismanagement of the business and a lack of price discipline. Price concessions to customers don’t appear to have translated into meaningful market-share gains either, Vertical Research Partners analyst Jeff Sprague has noted. To boost growth, Johnson Controls is hiring 400 new sales people this year, after adding 50 in 2017. For now, that will mean even more margin pressure. President Donald Trump’s planned tariffs on steel and aluminum are the cherry on top. Johnson Controls and other HVAC companies are heavy users of both metals. They were already struggling to pass higher raw-material costs on to their customers via higher prices. The more input expenses rise, the greater the risk of a profit squeeze. The ultimate impact of the tariffs on Johnson Controls and other U.S. manufacturers is unclear. Canada, Mexico and Australia have won exemptions, but the risk of a trade war is still high, and price challenges will remain top of mind. Given these ongoing challenges, it’s not terribly surprising Johnson Controls investors had a muted reaction to the company’s breakup announcement. As of early afternoon in New York, the shares were essentially flat. RBC analyst Deane Dray estimates Johnson Controls should be worth $42 a share if its parts fetch valuations similar to peers (adjusted for its poor cash conversion) — a mere 9 percent higher than where the company traded on Friday. A breakup was needed, but it’s no magic potion. This entry was posted on Monday, April 9th, 2018 at 10:32 pm and is filed under Uncategorized. You can follow any responses to this entry through the RSS 2.0 feed. You can leave a response, or trackback from your own site.